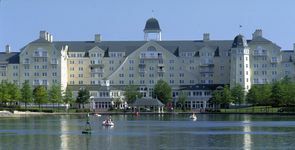 The conference will held at Disney's Hotel New York® Convention Centre, located in Disneyland Paris. 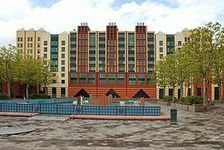 Designed by architect Michael Graves, Disney's Hotel New York evokes the majestic skyscrapers of Manhattan, the Brownstones and the sumptuous residences of Gramercy Park. 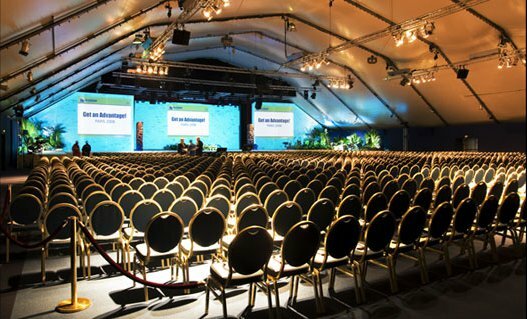 Its Convention Center integrated features, including a separate reception for delegates, a desk, a business center and meets all the requirements of professional events. 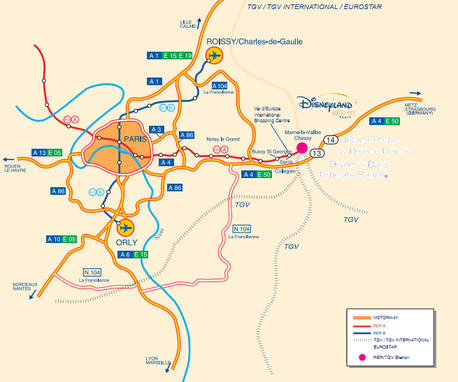 A4 Motorway (autoroute de l'Est), Exit 14 "Parcs Disney/Bailly-Romainvilliers". From Paris: From the centre of Paris, follow the directions towards"Bercy" or “the "Porte de Bercy" from the peripherique (ring road). At "Porte de Bercy" take the A4 motorway in the direction of Nancy / Metz. Exit 14 is approximately 20 miles (32 km). From Roissy-Charles de Gaulle International Airport: Follow the signs to "Paris", then "Marne-la-Vallée" and turn onto the A104 motorway (la Francilienne). After approximately 16 miles (27 km) turn off the A104 onto the A4 motorway in the direction of Metz- Nancy. Exit 14 is approximately 6 miles (10 km). From Orly International Airport Follow the signs to "Paris" and then "Créteil" on the A86 motorway. After 7 miles (11 km), turn onto the A4 and follow the direction to Metz- Nancy. Exit 14 is 17.5 miles (28 km). Taxis: The journey from the airports or from the centre of Paris is approximately 45 minutes. Taxis are capable of carrying up to four passengers. Parking: A parking lot is available on site, free of charge. Exit at "Marne-la-Vallée / Chessy" station, situated close to the entrance to the hotels. TGV (High-speed train), TGV International, Eurostar: Direct trains to the station "Marne-la-Vallée - Chessy" from 30 major French and European cities. Please refer to the map on page 2 for approximate traveling time. RER (Regional express network): Take line A of the RER, direction "Marne- la- Vallée / Chessy". Trains leave approximately every 10 minutes. The journey from Paris takes around 40 minutes. There is a complimentary shuttle bus from the Marne-la-Vallée / Chessy station to our Resort hotels. Airport shuttle bus leaves every 45 minutes. 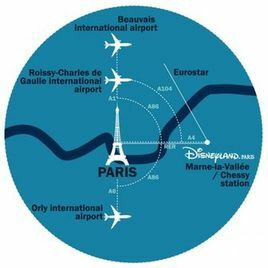 There is a regular direct shuttle bus service (VEA) to the Disneyland Paris hotels from Orly and Roissy Charles-de-Gaulle International airports. The journey takes approximately 45 minutes. Tickets may be purchased from the driver upon boarding the bus. Click on the following access map to enlarge it. 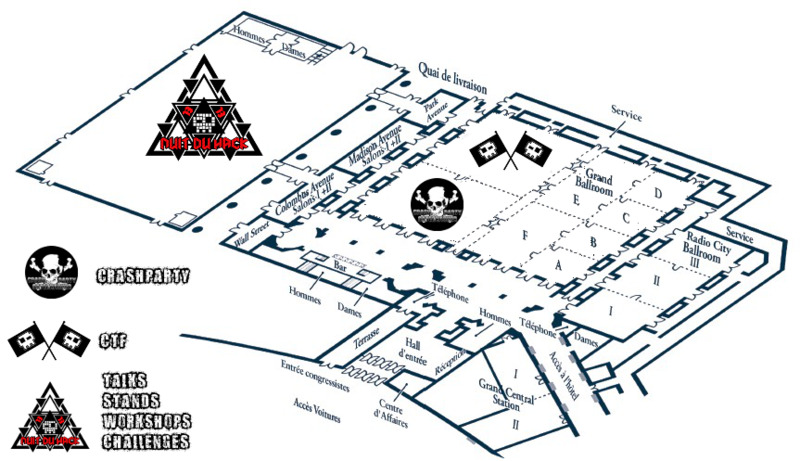 For Hotel registration, a link will be provided via email after you book your ticket for Nuit du Hack. Please see the comprehensive list and the map of all hotels. discount tickets are available at Disney Hotel's concierge upon presentation of your NDH badge.